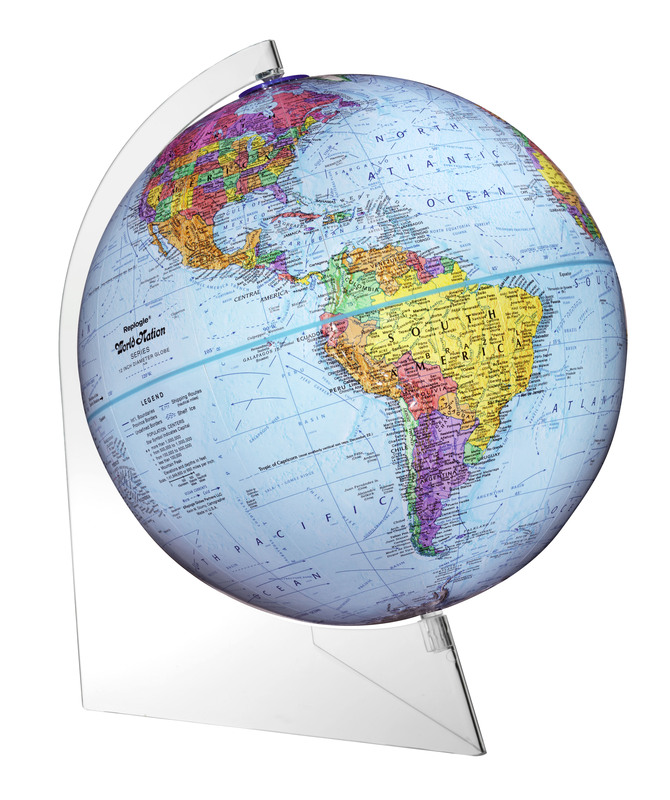 This political globe is held in place by a lightweight, clear acrylic base. 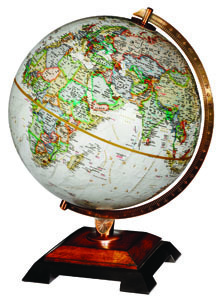 The blue ocean globe features over 4,000 place can turns 360 degrees and looks as if it is floating in the clear Panorama base. 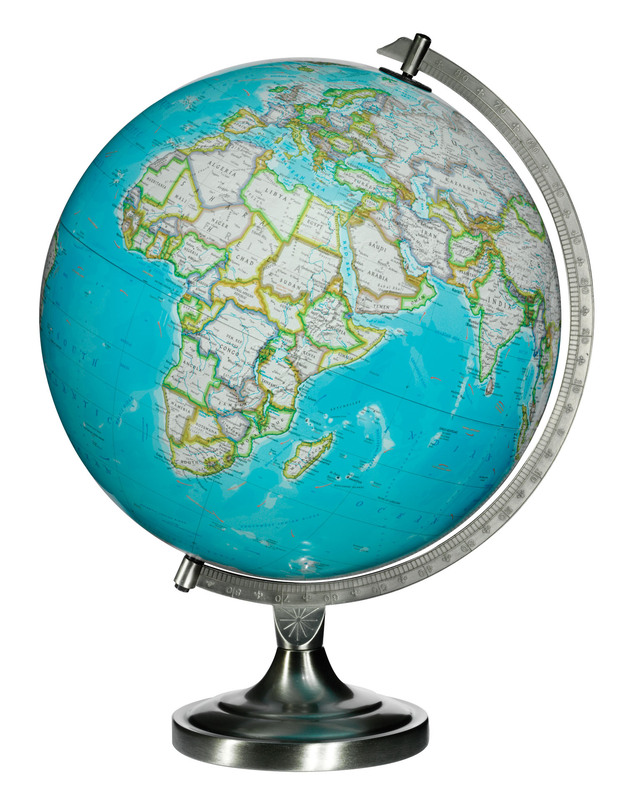 Perfect for the home, office and classroom.